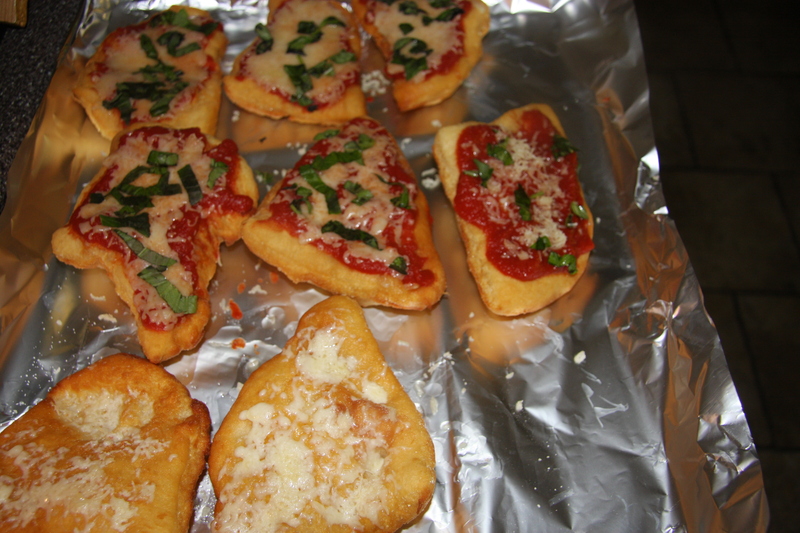 One of my favorite dishes not only to eat but to make are these pizza fritters. Just a little twist on the pizza. These are fried. I learned this variation while cooking with and Italian chef on the Amalfi Coast. 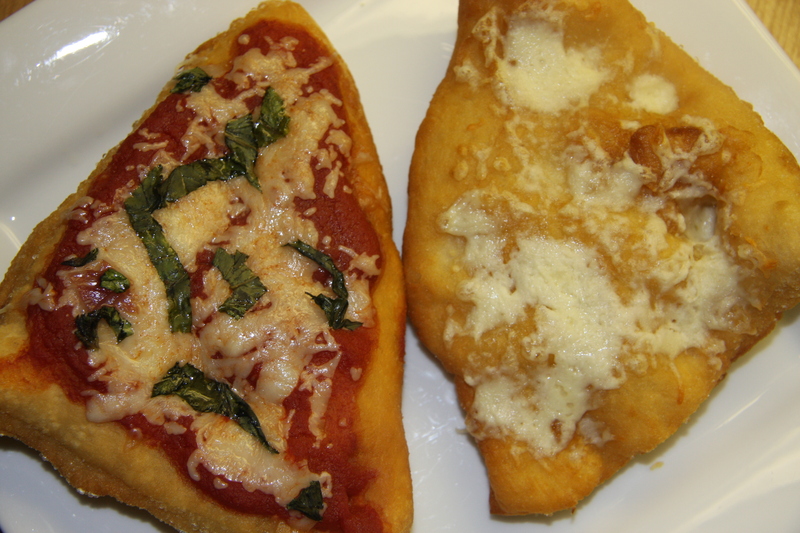 Very simple, topped with a marinara sauce, mozzarella cheese and basil. You could add some of your favorite toppings or just top with cheese. Whatever way you choose to eat these, they are wonderful! 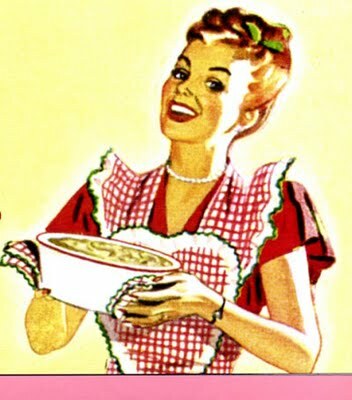 Place 3 cups of flour along with 1/2 tablespoon of kosher salt and 1 tablespoon of dried yeast into a mixing bowl and stir with the paddle attachment until well blended. Next add 2 cups of water and begin to stir with the dough hook attachment. Slowly adding another cup of water if needed. 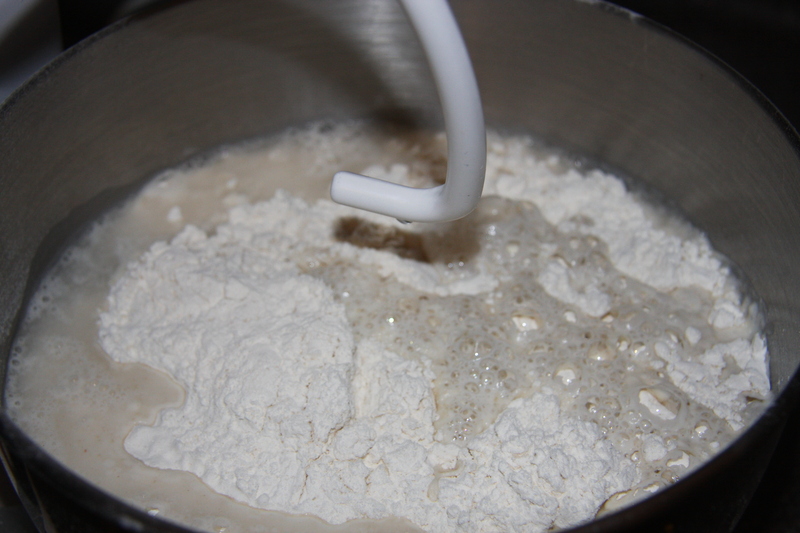 When using all purpose flour I find I don’t need as much water, that is why I add it slowly little by little. If I happen to add too much then I just add a little more flour. It is not that big of a deal. Don’t be scared to play with this. 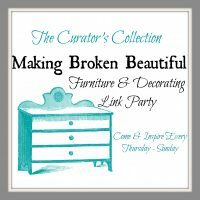 You will see that it will come together and come away from the bowl. 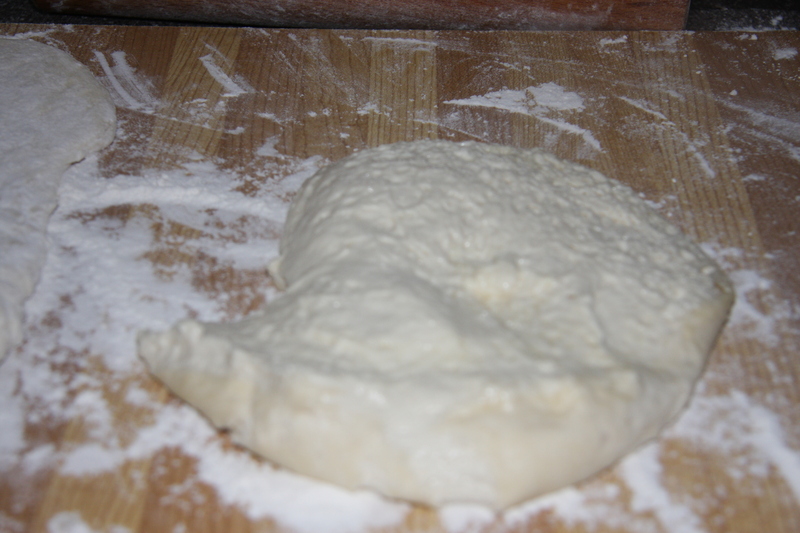 I like to knead this with the dough hook for about 4-5 minutes. 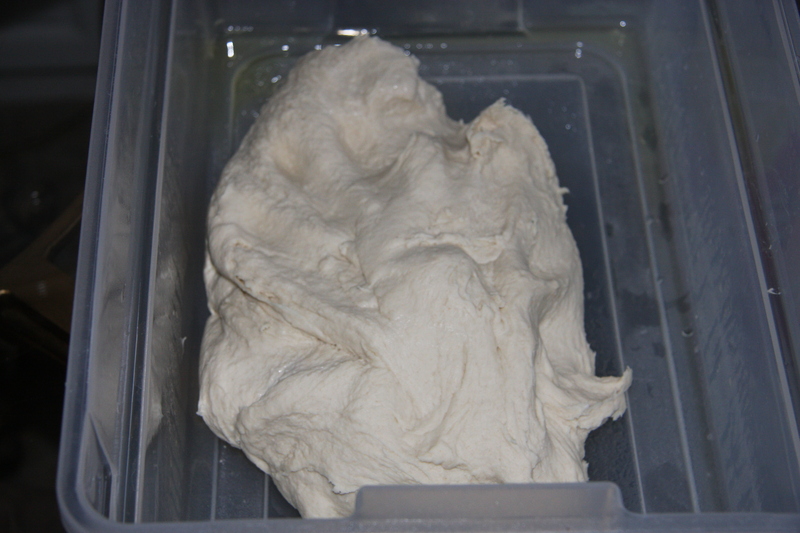 Spray a large container or bowl with oil and place the dough into it. Let it rest covered for 2 hours. 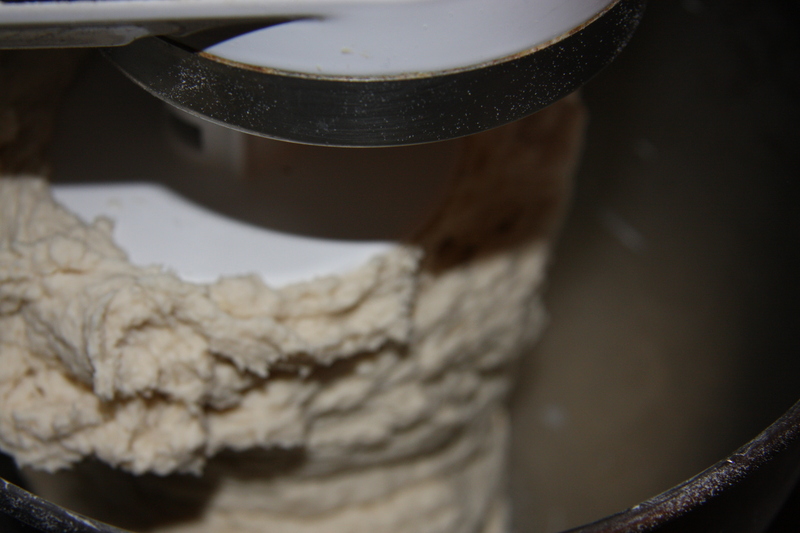 If you find that the dough has slightly dried on top, not to worry. Just sprinkle it slightly with water. Cover with a lid but not fully, place in the fridge for 8 hours or overnight. Roll out to about 1/2 inch thickness and cut into pieces. The pieces can be cut smaller then this. Cover with a tea towel and rest at room temperature for 2 hours. 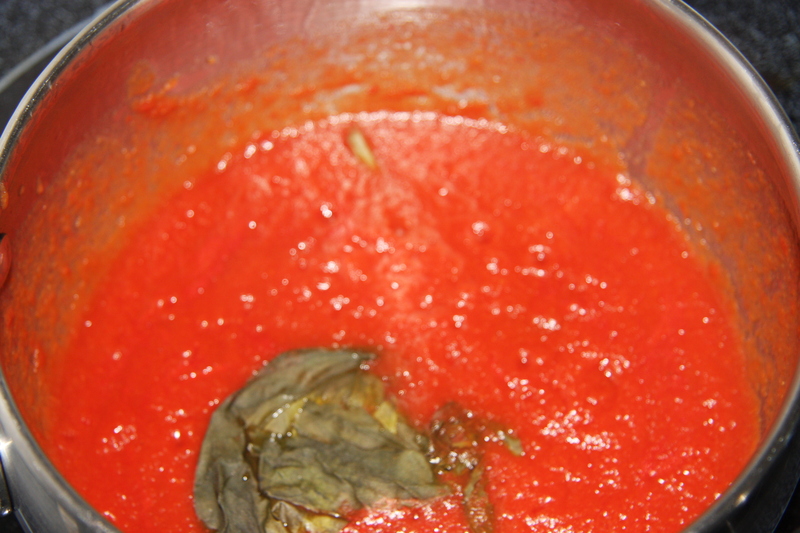 In the meantime take a passata sauce and place it into a pot with some fresh basil and even a clove of garlic. Simmer at a low heat for about 30 minutes covered. 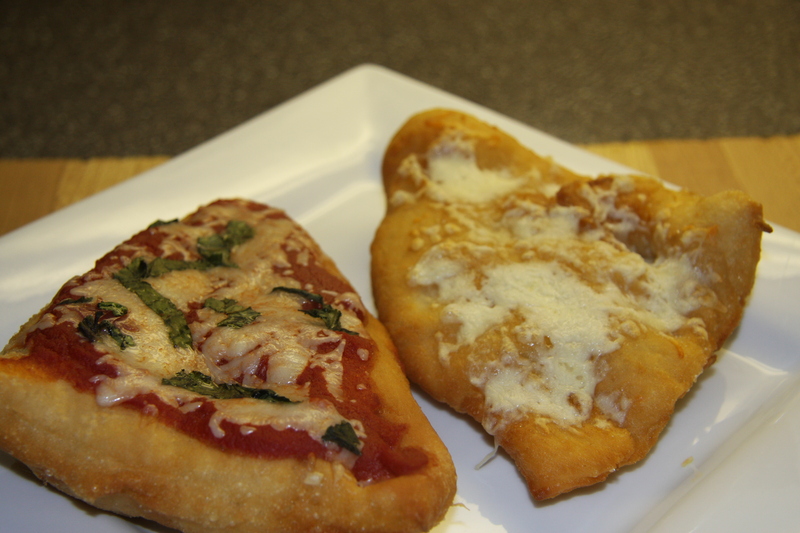 Keep warm until you place it on the fried dough. 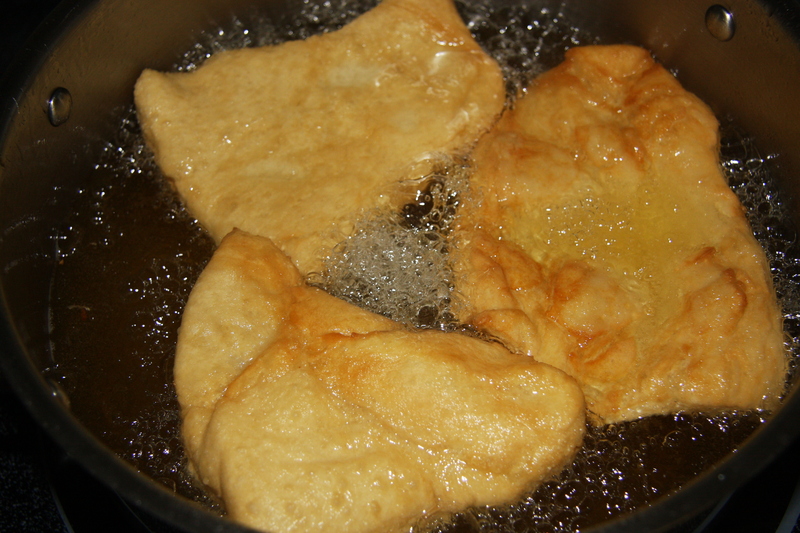 Heat a large amount of vegetable oil into a deep pot, take the raw dough and gently place it into the oil. Fry until a nice golden colour on both sides. When they have browned on both sides place onto a foil lined pan and top with your warm sauce, shredded cheese and basil. These can be put into the oven at 170 degrees to keep warm or eaten right away. 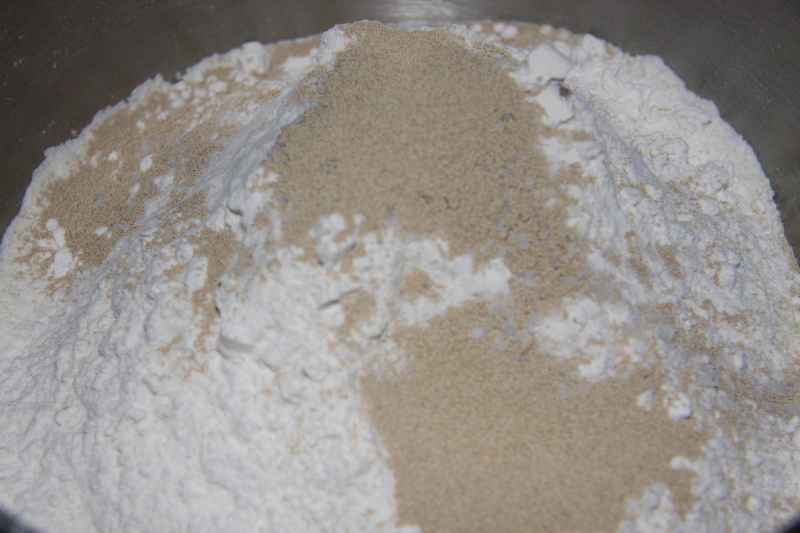 Into a mixing bowl of a mixer add the flour and then 2 cups of the water. Mix well and slowly add another cup of water, with a dough hook. You might not need it all. 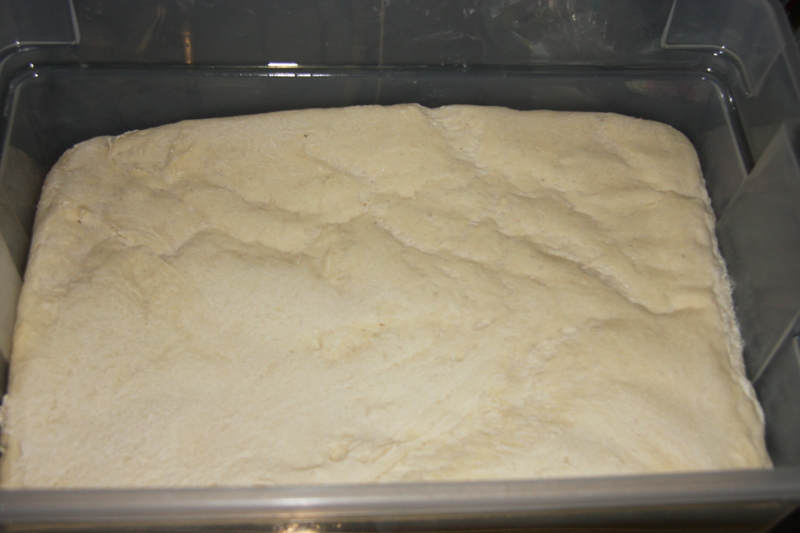 If the dough is too hard or crumbly add a little more of the water until it is softer and it starts to come together. I knead the dough with my Kitchen Aid, for about 5 minutes. It will come away from the bowl. 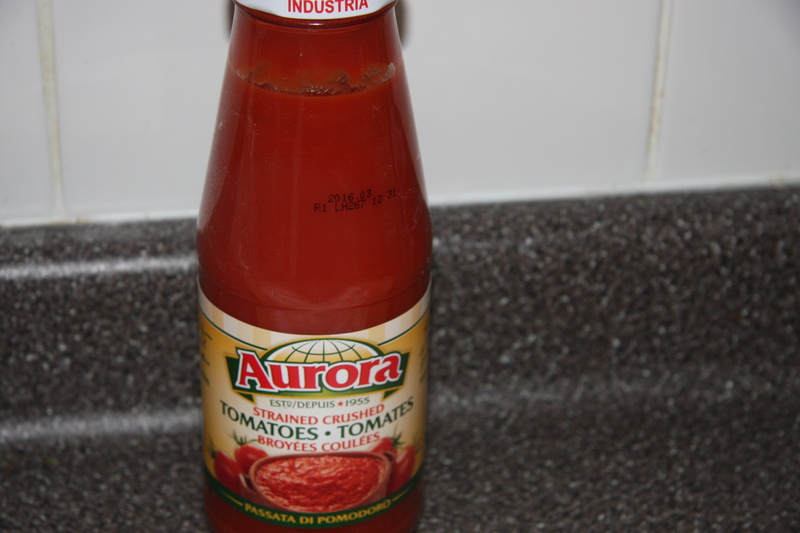 Place into a oiled container, slightly cover with a lid and let it rest for 2 hours in a warm place. After the two hours, put into the fridge, overnight or for at least 6 hours. 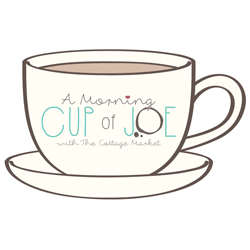 Roll out to 1/4 – 1/2 inch thickness, cover with a tea towel and rest it for 2 hours. Into a stockpot add enough vegetable oil, about 1/3 of the pot and heat. Place the tip of a wooden spoon into the oil. 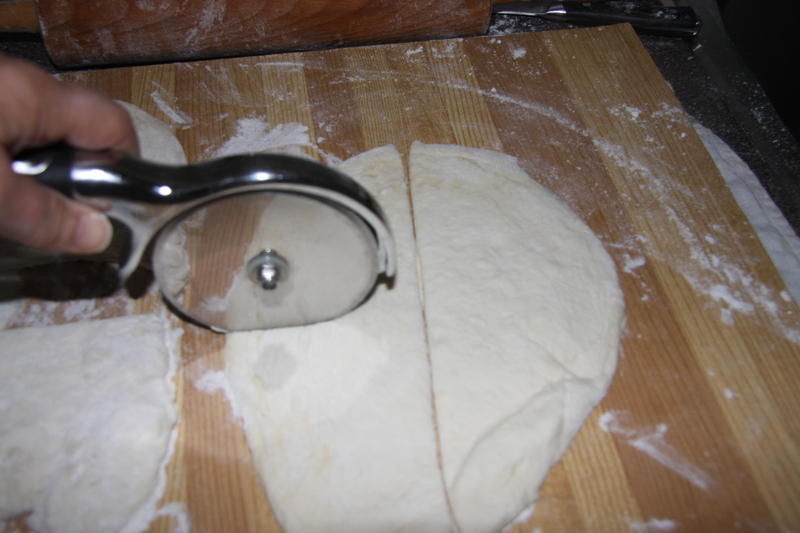 If it bubbles around it, it is ready for your dough. 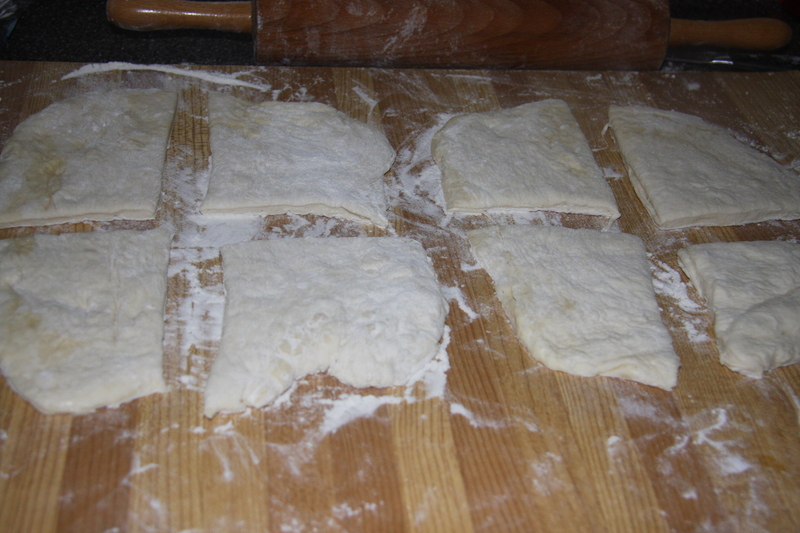 Place 2-3 pieces of your dough into the oil. Fry until golden on both sides. Place onto a pan lined with foil and top with your sauce, cheese and chopped basil. Do this as you go along and continue until all your fritters are fried. Trust me this is so worth making.